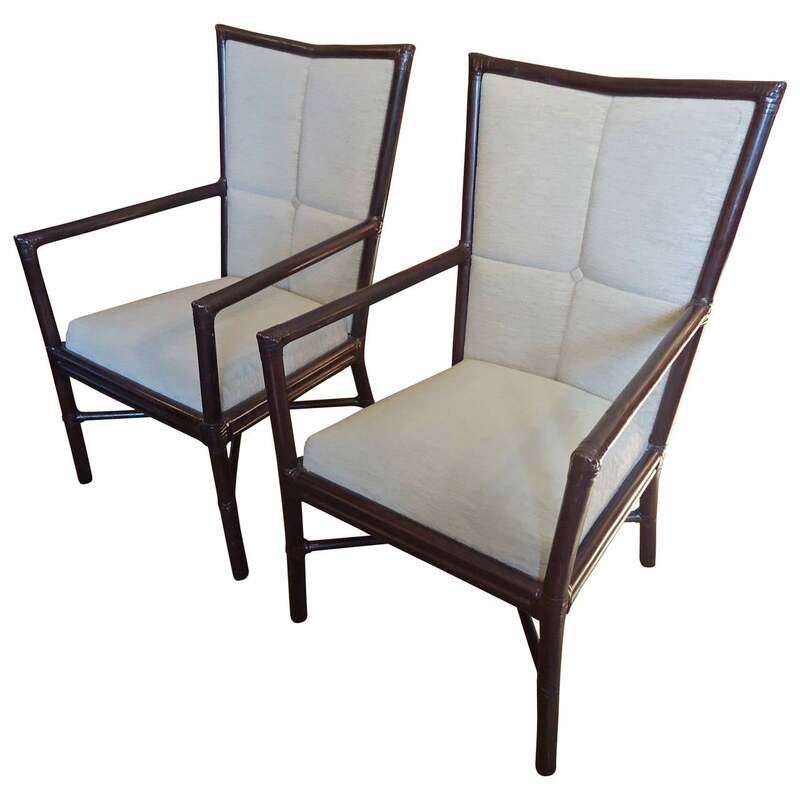 Sleek pair of Barbara Barry for McGuire tall back armchairs upholstered in taupe fabric, with ebonized wood and decoratively wrapped joints. 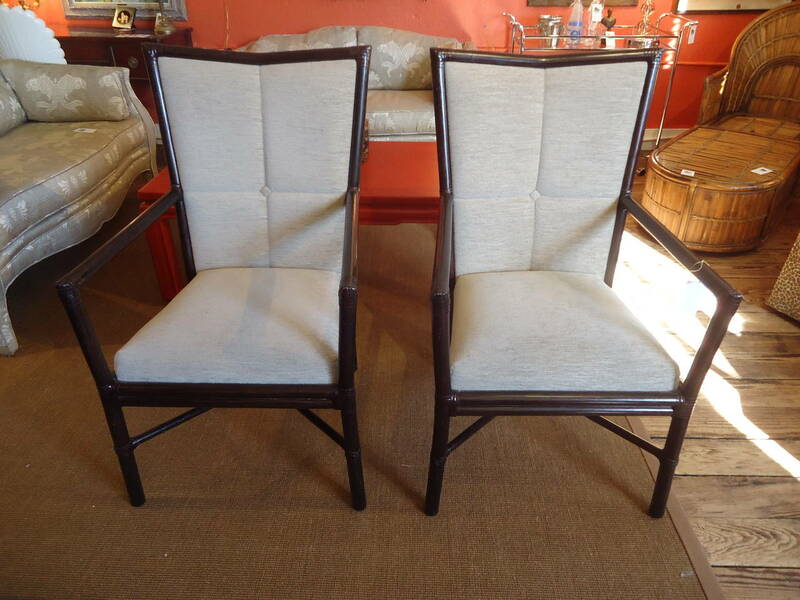 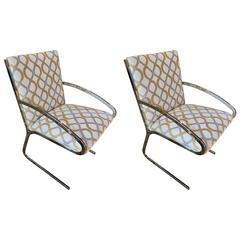 Sleek pair of armchairs having elegant chrome frames, newly upholstered in a schnazzy geometric chenille fabric. 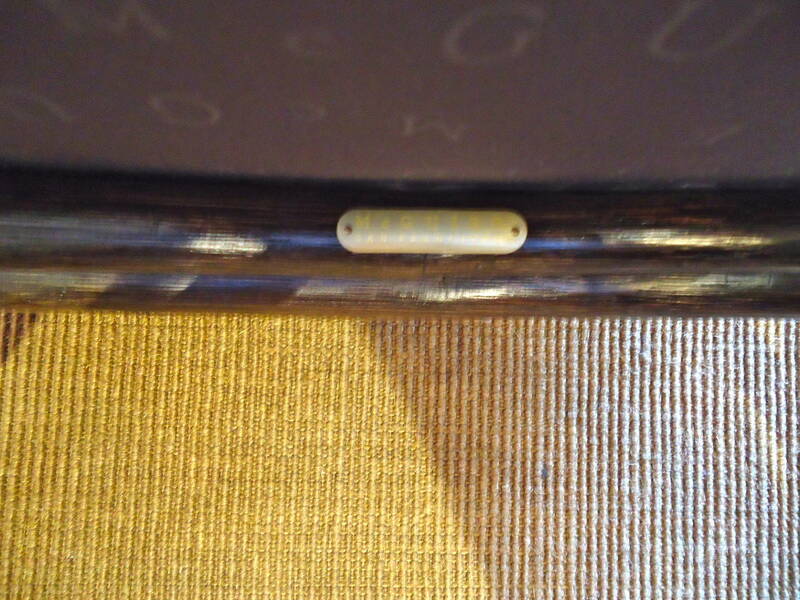 SW. 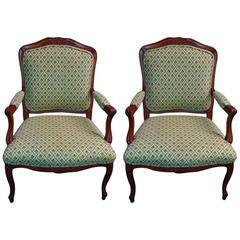 Pair of French style carved cherry armchairs upholstered in Scalamandre traditional fabrics, needlepoint front and cut velvet back, circa 1980. 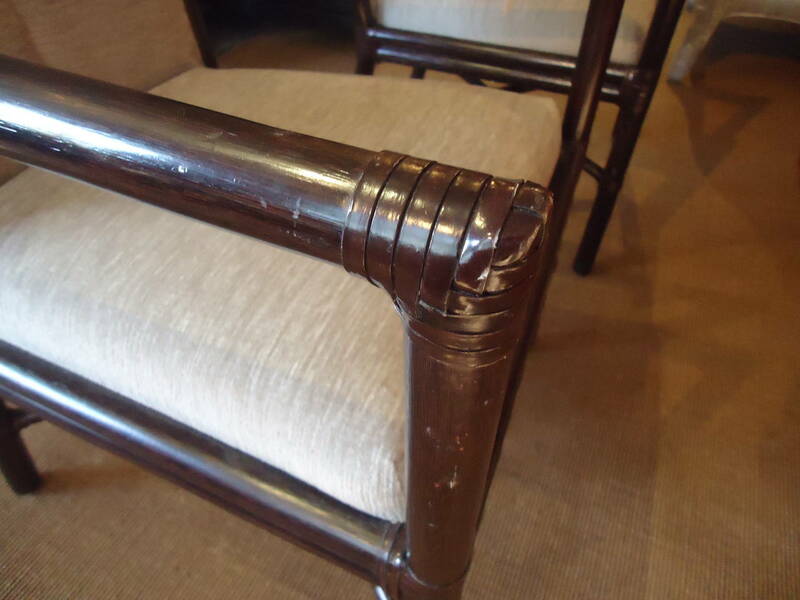 Lambert Furniture Co. Seat height 16.5. 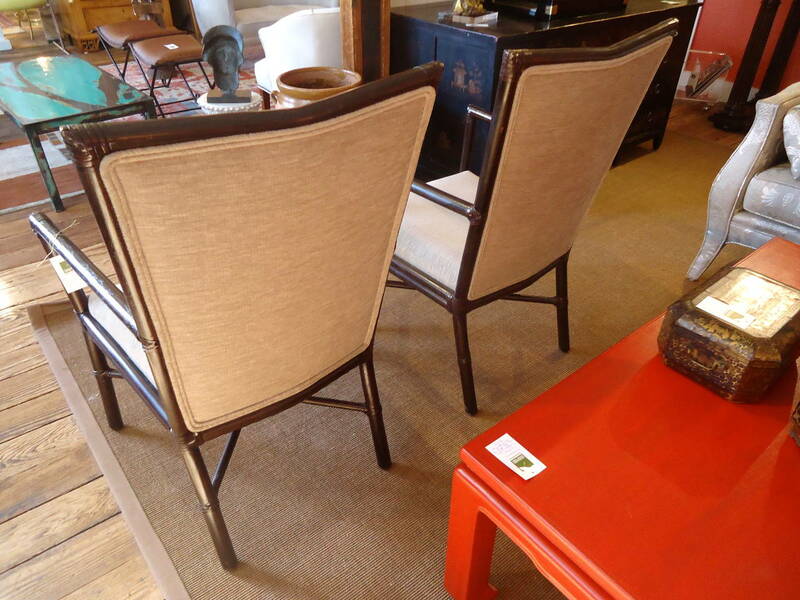 Over-upholstered seats are supported by a chromed sleigh base, fitted with loose brown leather sleeves in the back.